There are many sources for self-study materials for you first and successive Ham Licenses. 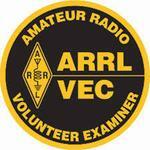 Among the best are those offered by the American Radio Relay League (ARRL). We will assign a mentor to help you selected materials appropriate for the license class you wish or qualify for. This mentor will then help you through the materials, so you will feel confident when you feel you are ready to take the examination. KARS provides Technician, General, and Extra Class license exams through our club's VE members. When: After regular monthly, the first Thursday of each month. Please call to schedule test at least one week in advance. Location: Boerne, TX for specific location information. What to bring: Original license plus 1 photocopy and any CSCE’s plus 1 photocopy, to be attached to test. Also bring valid photo id and $15.00 cash payment.